HOUSTON — A single decision, a single change and the world becomes a complete different place. Or does it? Find out in Sentai Filmworks’ newest acquisition: Rozen Maiden ~ Zurückspulen! 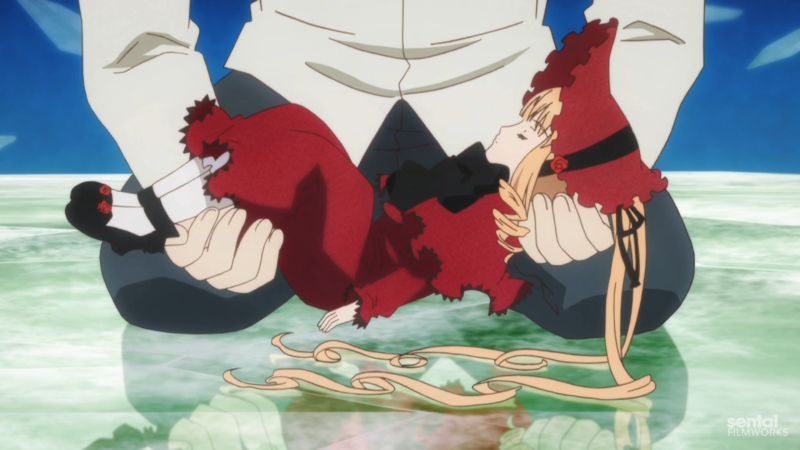 This 12 episode reimagining of the classic Rozen Maiden series is directed by Mamoru Hatakeyama (Sankarea) and features character designs by Kyuta Sakai (When They Cry ~ Higurashi), with series composition and sound direction by Tomomi Mochizuki (Touka Gettan) and music by Shinkichi Mitsumune (Rozen Maiden). Time is a strange thing. In every moment, there are fleeting circumstances of opportunity, which if taken, can completely change the course of one’s life. And there are those who postulate that not only is each of these chains of events possible, but that there are parallel worlds where those events HAVE taken place. Which brings us to the story of Jun Sakurada… a Jun who chose NOT to turn the key in the back of the lifelike doll that mysteriously arrived at his house. A Jun who DIDN’T enter into a contract with the Rozen Maiden known as Shinku, and never met any of the other Rozen Maidens. Or, should we say, hasn’t met them YET. Because just as certain opportunities exist for only a moment, there are also threads of fate so strong that the very fabric universe can turn itself inside out in order to make them happen. One of which is the thread connecting Jun and Shinku. The events of the original ROZEN MAIDEN are rewritten, and the destiny of the characters rewound as a once lost spark is rekindled in ROZEN MAIDEN ~ ZURÜCKSPULEN! Rozen Maiden ~ Zurückspulen will be available starting in July through select digital outlets and on home video in 2014.